Now that Munir El Haddadi has left FC Barcelona, the Catalan club is working extra hours in order to find a suitable Luis Suarez replacement. Things are getting very complicated for FC Barcelona now that Munir El Haddadi has left the Catalan club to play for Sevilla, as they have yet to find a centre-forward who can replace Luis Suarez in case the Uruguay international suffers an injury. The whole drama started last summer after an unhappy Paco Alcacer left the club to play for Borussia Dortmund, he never felt appreciated by manager Ernesto Valverde and demanded more minutes in order to grow as a professional. These two recent exits have placed both Eric Abidal and Ramon Planes on emergency mode according to Diario AS, they are not even that sure if things are going to work out for them during the winter market in order to find a proper striker who can replace Suarez with a reassured guarantee. The Uruguay international seems to be in a great form this season, but not having his replacement ready to get on the pitch if an emergency happens is something that a club as massive as Barcelona simply cannot afford. The experiment to try and use Ousmane Dembele as a striker didn’t work, the French youngster proved that he plays at his best when he is free to roam around the wings and playing secluded limits his talents immensely. The possibility of using Lionel Messi is also something that Ernesto Valverde would have to do if things don’t work out their way, but the manager doesn’t want to take the Argentine star back to the position Pep Guardiola first envisioned because pretty much every squad already knows how to stop him from doing any damage. The options if the Catalan club decides to not go after a new player seem limited, they won’t compromise the team’s dynamic this season because they already feel like the squad is performing above average and they would very much prefer looking at the options they have on the market. But the transfer window is less than 20 days away from closing, which leaves the Barcelona board of directors with very few options in a very short span of time to reach a decision. 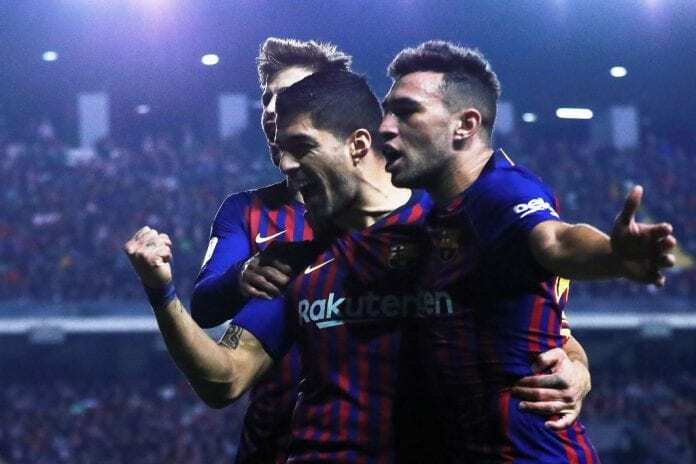 Manager Ernesto Valverde is going to have to take extra special care of Luis Suarez during the second half of the season, even if the club does end up signing a striker who can replace him because there are no options at the same level the Uruguay international has delivered on a consistent basis during the last five seasons. With 12 goals in the current La Liga season, it doesn’t look like Suarez will stop delivering good performances any time soon. But just in case anything weird happens, the options for FC Barcelona vary from Chelsea’s Alvaro Morata to Leipzig’s Timo Werner and just a couple of other players who are not very familiar to anybody in the market. The options for the Catalan club are very limited, the time is running and they are starting to get a little desperate after the announcement of Munir’s exit was announced earlier on Friday. 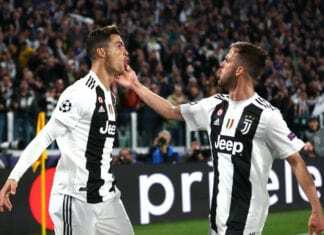 The situation that has everybody at the club the most nervous, is that they know getting a top-level striker is a priority because their objective this season cannot be other than to win the Champions League after they got eliminated early in the competition for three consecutive seasons. If the Cule squad doesn’t get to at least reach the final this season, the manager can start packing his bags because nobody will tolerate anything less impressive than that. The clock to find a striker is ticking for FC Barcelona, time is running out and there is not a lot of wiggle room for them. Which striker would you like Barcelona to sign during the winter transfer window? Please share your opinion in the comment section down below.